What Are The Best Oils To Cook With? 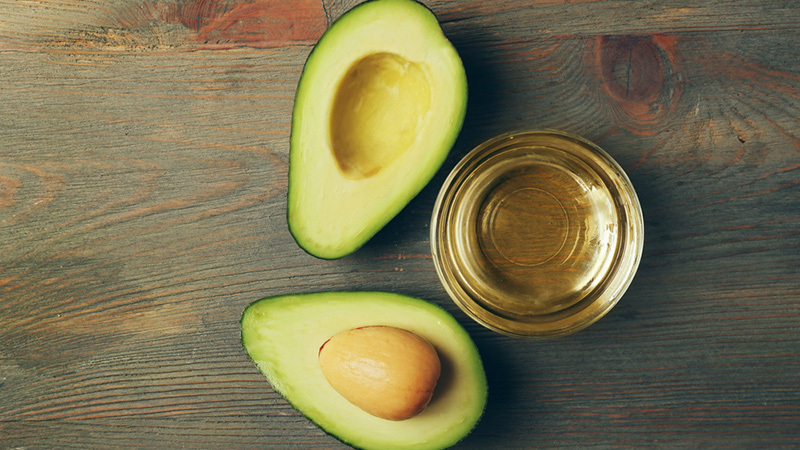 Coconut oil, olive oil, vegetable oil, avocado oil — with so many options available, it’s hard to know which is the optimal oil to use with your meals. Depending on whether you’re baking, sautéing, or dressing your food, you may be surprised to find out that certain oils can become harmful to your health. Here, we outline which oils are the best to cook with and drizzle, and which are best avoided. Some of the healthiest oils can actually be harmful when heated to high temperatures, so it is important to know whether or not your oil of choice has a high “smoke point.” The smoke point is the temperature at which a cooking oil or fat starts to break down, losing its flavour and nutritional benefits. As oils begin to break down, they start to oxidize— reacting with oxygen to form free radicals and harmful compounds. Vegetable oils used for high-temperature frying, for example, will form a highly toxic compound known as HNE (4-hydroxy-trans-2-nonenal). This HNE compound is so toxic because it is highly reactive with protein, and nucleic acids (DNA and RNA), and has been associated with stroke, Alzheimer’s, Parkinson’s, and liver disease. To limit your exposure to this highly toxic compound, do not use canola, vegetable, soybean, or sunflower oil for frying. If you are going to be cooking at high temperatures, you want an oil that has a higher smoke point. For cooler or cold applications, oils with lower smoke points will work just fine. It is actually the degree of saturation in the fatty acids of the oil that determines its ability to resist oxidation and rancidity. Saturated fats have only single bonds in the fatty acid molecules that are more resistant to heat. Monounsaturated fats have one double bond, and polyunsaturated fats have two or more double bonds. It is these double bonds that are sensitive to heat, so oils high in polyunsaturated fats should not be used for cooking. If you are going to be frying or deep frying at high temperatures, reach for one of these oils with a high smoke point and lower levels of polyunsaturated fats. Most home frying calls for oils to be heated at a temperature between 350 and 375 degrees F, so you will probably rarely need an oil that has a smoke point as high as avocado or mustard oil. Your recipe will most likely give you a guideline for the temperature that oil should be heated at for that particular preparation, so you can choose an oil with a smoke point that matches. Olive oil and coconut oil are two of the healthiest cooking oils around, and both can be used for a variety of different cooking methods and temperatures in your kitchen. 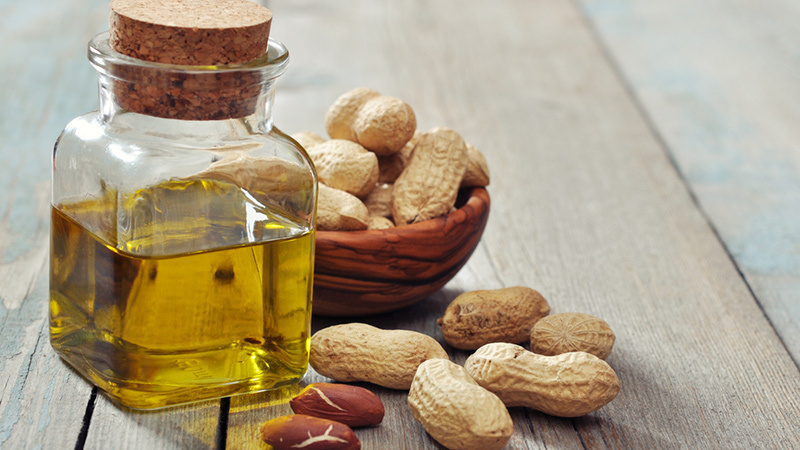 They both have characteristic flavors, however, so you may want to keep a neutral flavored oil like peanut oil around as well. Olive oil maintains its quality and nutrition better than seed oils, and is the most stable for frying and other high heat applications. Olive oil is a mainstay of a Mediterranean diet, and it is considered a healthy fat that can raise good cholesterol and lower bad cholesterol levels. Choose light olive oils for high-temperature cooking, and leave the virgin and extra-virgin varieties for salad vinaigrettes. 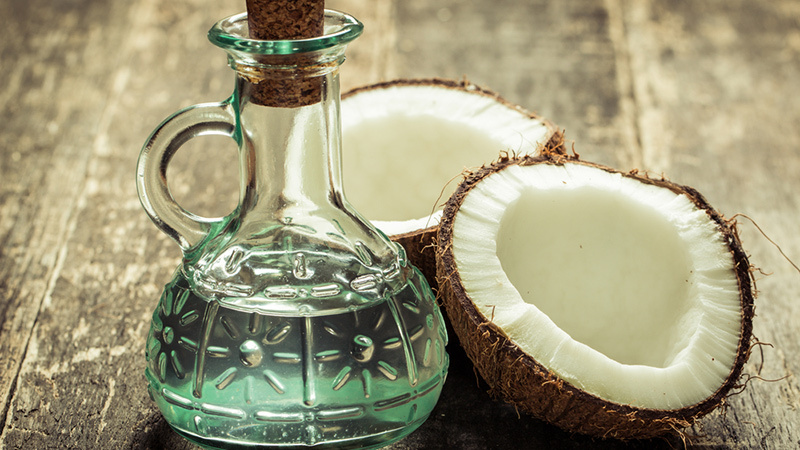 Unrefined (aka virgin) coconut oil is another health-promoting cooking oil to keep on hand. Its high levels of saturated fats means it can withstand high temperatures and last for long periods of time without going rancid. Coconut oil contains a special fatty acid called Lauric Acid that has natural antibacterial and antiviral properties. Use coconut oil for sauteing vegetables, fish, and lean meats. Butter is another, surprisingly healthy fat to keep in your kitchen. Grass-fed butter in particular has high levels of vitamin K, A, and E, in addition to the beneficial fatty acids Conjugated Linoleic Acid that supports weight loss, and Butyrate that can fight inflammation. 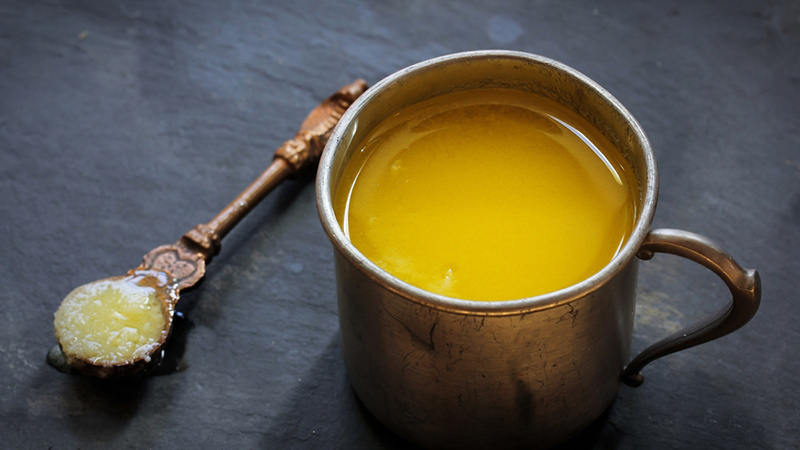 Clarified butter, also known as Ghee, has had the lactose and proteins removed, leaving nothing but pure butterfat that can withstand high temperature cooking. 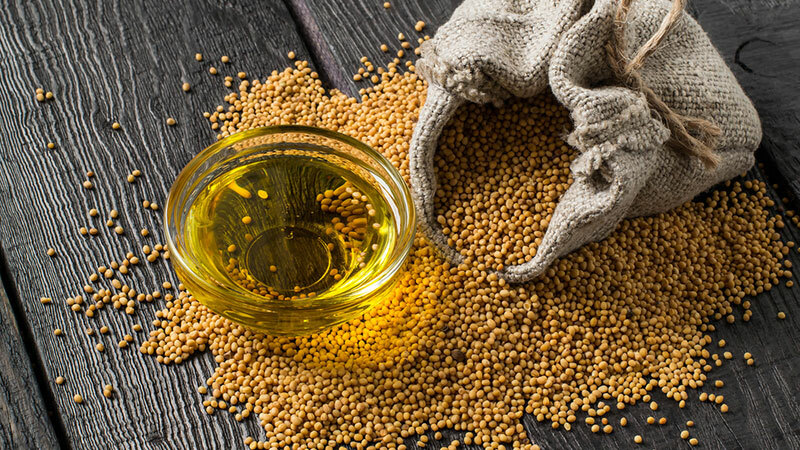 Vegetable oils like corn and canola are not the healthiest cooking oils, and are best left to be used sparingly to make moist baked goods with a neutral flavor. A little bit of knowledge about smoke points can help you decide on the best cooking oils to be used in your kitchen. Remember, just because you can safely fry with an oil without it going bad, doesn’t mean that frying is the healthiest method of food preparation. 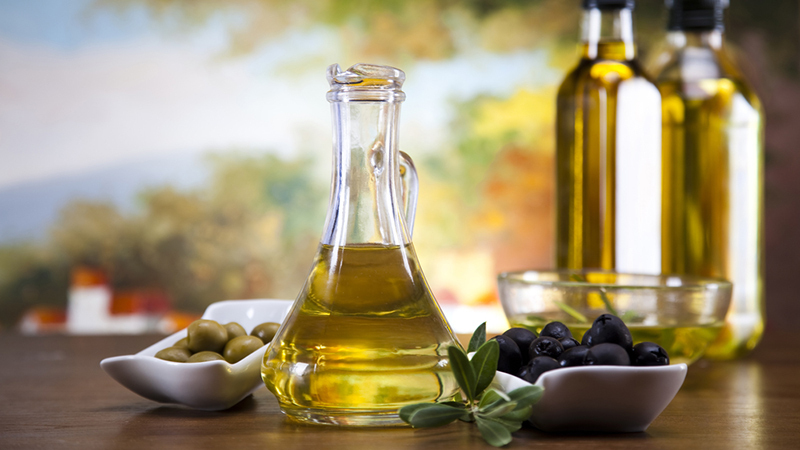 With these healthy cooking oils, however, it can be a little bit better for you than before.